I've now been studying at the University of Oxford as a graduate for just over a month. I'm reading for an MsT in Classical Archaeology at Merton College and I'm absolutely loving it! I also studied here as an undergraduate, and I have lived in halls the whole time. 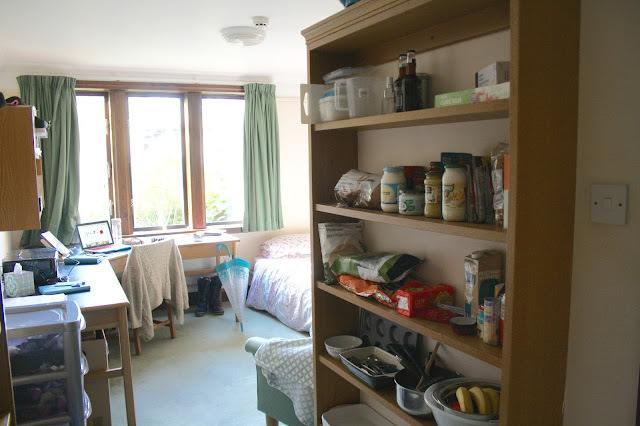 The block of flats that I live in is located in central Oxford, in walking distance of my Faculty, the supermarket, and the all-important dining hall! I ran a poll on Twitter and asked you guys whether you'd like to see my room and the response was overwhelmingly positive, so I took advantage of a rare moment of my room actually being tidy to share it with you! The view from my bedroom door, as you walk into my room. I am lucky enough to have a ground floor room in one of the new accommodation blocks, with a lovely view overlooking the gardens. My room is south facing, so I am bathed in glorious sunlight all day when sitting at my desk! 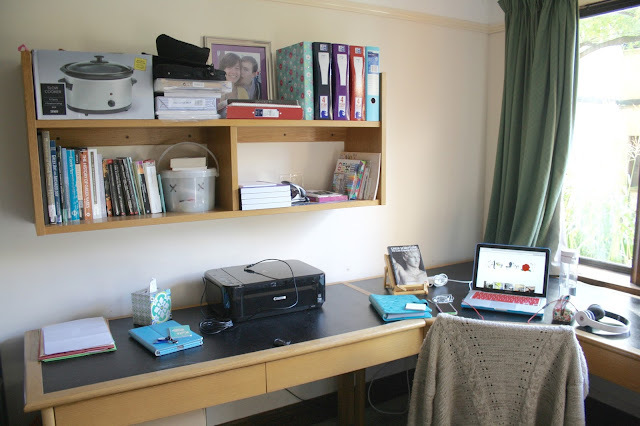 My desk is absolutely ginormous, it stretches along two of the walls and gives me ample space to spread out my inevitably huge stack of books and folders while writing an essay! I also have lots of shelving to store my cooking equipment and non-perishable food. I share a kitchen with 9 other graduate students. A close-up view of my desk, where I spend a lot of my time! 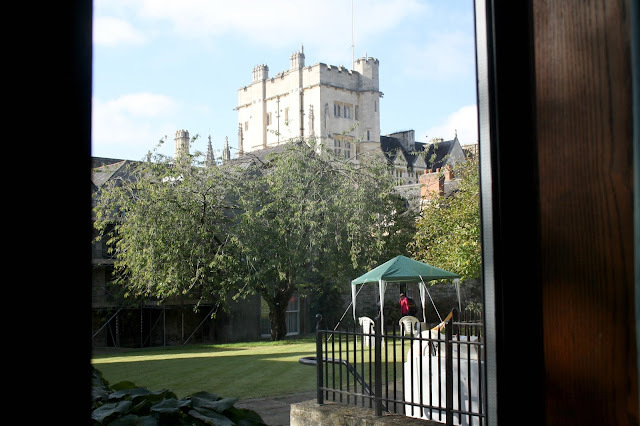 The view from my window, overlooking the garden and the tower of a neighbouring Oxford college. At the end of my bed, there is a wardrobe which thankfully stores all of my clothes and shoes without a problem! I also have a really comfy armchair which is the perfect place to throw all my clothes (every girl has one of *those* chairs!) or just to sit on and read or watch a bit of YouTube if the clothes have actually made it back into the wardrobe! I have some photos and keepsakes on the little shelf above my bed, which is always nice to see when you wake up in the morning! I love little touches like this, I definitely think that they make a uni room feel more like a home. 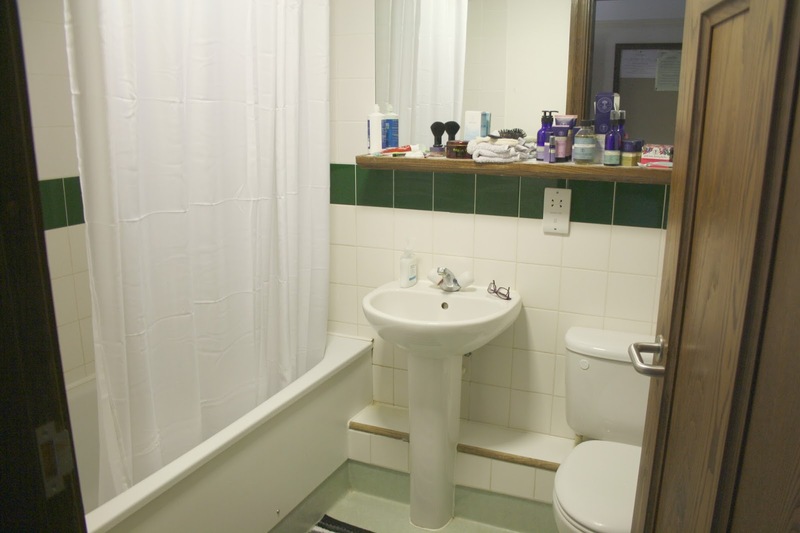 Another big bonus for me, which I wasn't expecting when I moved in, was that I have my own en-suite bathroom! 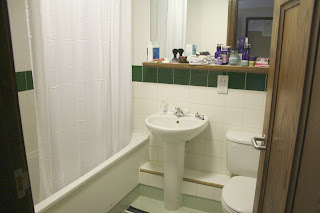 I was delighted to discover this when I first stepped through the door, as it means that I can spread out my hundreds of bottles of skincare product all over the bathroom without having to worry about anyone else judging me because of the mess! Hooray! 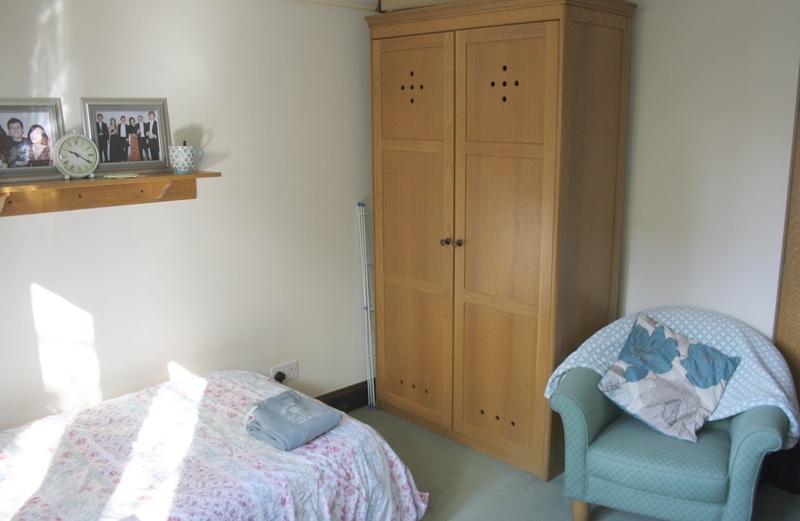 I pay just over £5,000 per academic year for my accomodation, which for a flat in central Oxford is a pretty good deal. I also don't have to move out at all in the vacations if I don't want to, which is super convenient. I hope you enjoyed this little tour of my bedroom! 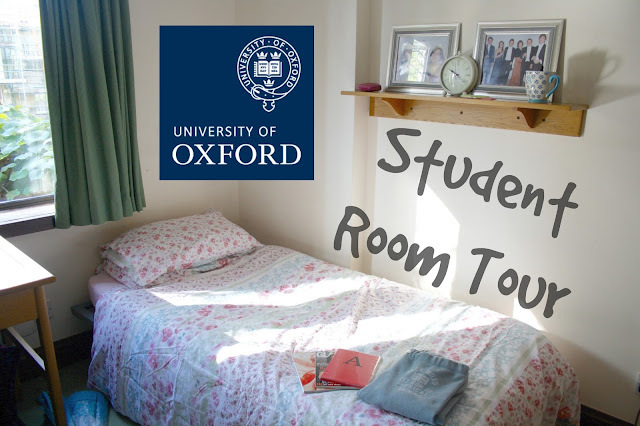 I also have photos from the three other rooms I've lived in as an Oxford University student, so if you're interested in seeing those too, do let me know. What are your best memories of being a student? Did you enjoy your time in halls? Please leave a comment down below!